No Argonauts gear? How about some Raptors swag? 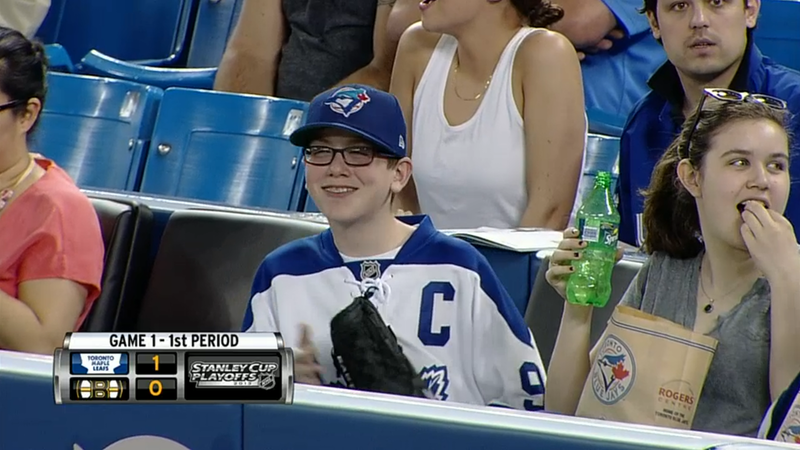 I don’t blame him for not wearing Toronto Rock gear because of the lame nickname and well, it’s lacrosse. Toronto FC is pretty nifty, though. Sorry about all the losing our teams gave yours, kid. The Red Sox capped off an evening that saw the Celtics salvage some Boston pride by fending off the Knicks for another game. Tell the Westboro Baptist Church to reschedule the picket on the Cs’ funeral. The Bruins handily put away the Toronto Maple Leafs 4-1 in the first game of their playoff series. That’s what you get for having an ungrammatical moniker. But hey, I guess Toronto Rock. 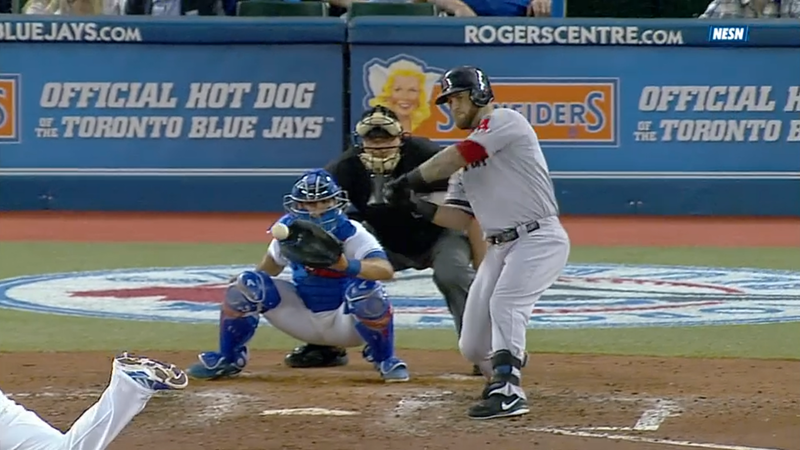 Mike Napoli started the season off slow with the first half of April a disappointing .220/.235/.420 and two home runs. Since then he turned the heat up to a simmer and last night reached a full roiling boil. Dustin Pedroia tweeted to his followers that Napoli needs a new nickname. My suggestion was “Florida Fencebuster,” inspired by his two-homer showing, his birth state, and my love of old time baseball slang. Huzzah!